The holiday battles are upon us! Xbox One vs. PS4. Microsoft Surface Pro 4 vs. Apple MacBook Air. Surface Book vs. MacBook Pro and for me the biggest decision of them all: Microsoft Band 2 vs. Apple Watch. We are (already) planning our December giveaway and wanted to give you the option of which one would you rather win? Some things to remember: Apple Watch is only compatible with iPhone 5 and newer. 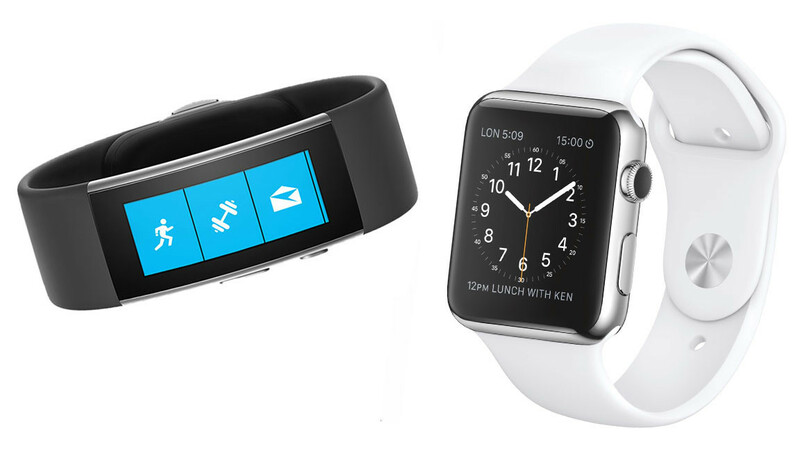 The Microsoft Band 2 is compatible with iOS, Android and of course Windows 8.1 and 10 Mobile. We’ll be releasing our full review of the Microsoft Band 2 later next week.